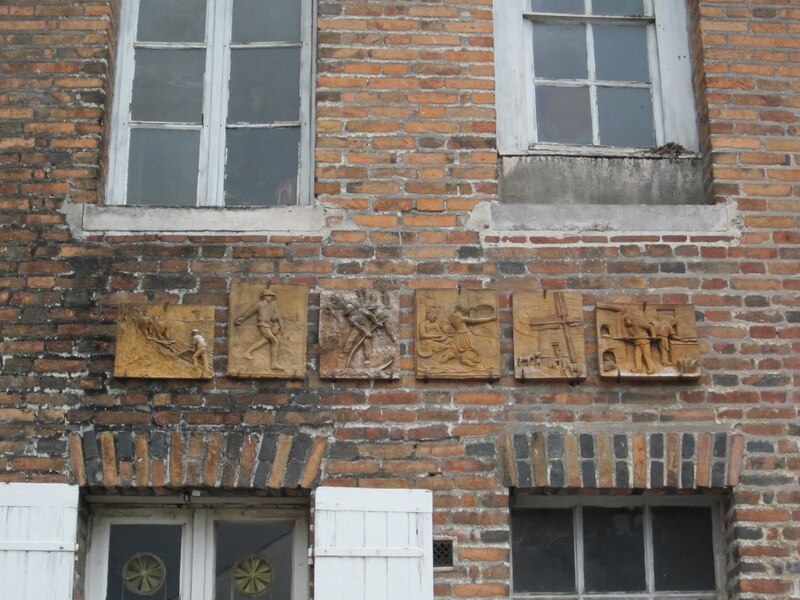 These old tiles are fixed on the wall outside Boulangerie Vincent (Vincent Bakery) at the northern end of our town. Each represents a different phase of the labor that goes into making our bread, from tilling the soil, to planting the seeds, then harvesting the wheat, crushing the wheat with grinding stones, properly storing the wheat, and finally, perhaps the process we think about most other than eating: the baking. it's like "The Little Red Hen"